Anyone can give your Correct Aadhaar Card Details or Information postmen will be delivery easily…. The Aadhaar Card troubles not only general people that also postmen. Because lacks of Aadhaar Cards at every post office in the southern and northern regions of the country because lot of Aadhaar cards not delivering to the original Aadhaar Card owner. This caused by wrong name and other details were gave by some people troubling the postmen dont worry there is an option to modify your Aadhaar Card Correction online. Lot of postmen unable to delivery the Aadhaar Card particularly in north states like Chattisgarh, Rajasthan etc due to not perfect address found in the Aadhaar card. Postmen struggling very very hard to deliver these wrong address Aadhaar card which some cards are without correct names or address or father name etc not matching the address to the card holder troubling the postmen. If you not provide the Correct Aadhaar Card Details it causes time taking very much. The card holder feeling that postal department not delivering the Aadhaar cards to the proper card holders, some people think that some postmen throwing the Aadhaar Cards in various other places without delivering them. After few months everybody expect their Aadhaar card come by any day through postmen and also asking the postmen regularly about their Aadhaar Cards on the irritating the postmen. Everybody criticizing the postal department are not delivering the Aadhaar Card but fact in that more or less 10% of the Aadhaar cards who completed their enrollment there cards are incorrect name or address causes the undeliverable of Aadhaar Cards. Although postmen taking extra time to delivery these Aadhaar Cards due to wrong name and address given by some persons taking four to five months time also to delivery Cards. Although the postmen searching for the real card holder which the name on the Aadhaar cards. The Sirsa District Dabwali zone in the state of Haryana recently started Aadhaar Card Enrollment in the ward number 1 and also 7. Remaining ward number 2, 3, 4, 5, 6 also starts very soon said by SDM Subhash Syoran he requested the people to attend the Enrollment center with photo id card like ration card, bank account passbook and any other government issued documents for easy and quickly complete the registration process of the people. Otherwise people will face some problems in enrollment. The students should submit their Aadhaar Enrollment form to the principals where the students studying and the principal verified Aadhaar form these students just bring copy of ration card only to the Enrollment center. For a complete the process of Enrollment / Registration. 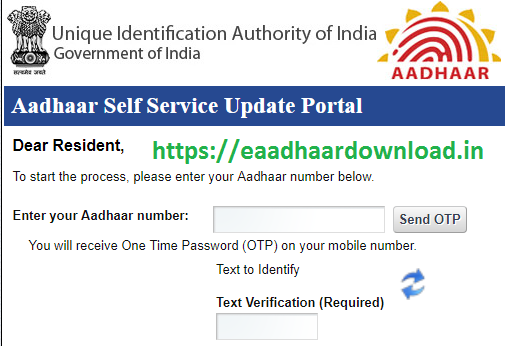 Important Note: After completion the Enrollment process everybody ask the acknowledgement slip which is very very important for future Aadhaar status checking or to download from official website uidai.gov.in. Keep this Acknowledgement slip carefully without sail. If you would like to send the phone through DHL Payment of Rs.500/= only will pay a t the time of delivery at door setp but not more than Rs.500/- as per you said.